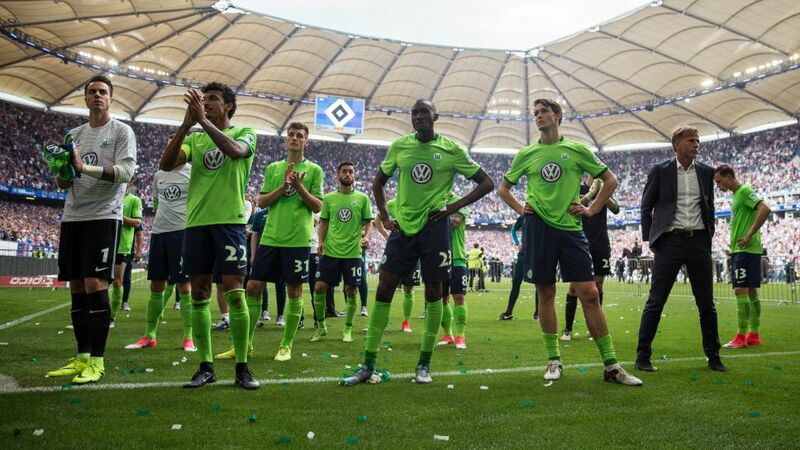 After finishing 16th in the Bundesliga, Wolfsburg will contest the 2016/17 relegation/promotion play-off against their Lower-Saxony rivals Eintracht Braunschweig, who ended the 2. Bundesliga campaign in third place. Click right here to see how your Official Fantasy Bundesliga team did this season! The first leg will be held at Wolfsburg’s Volkswagen Arena on Thursday, 25 May (20:30 CEST/18:30 GMT kick-off), with the second leg taking place on Monday, 29 May (20:30 CEST/18:30 GMT kick-off) at the Eintracht Stadion in Braunschweig. Wolfsburg knew that avoiding defeat at Hamburg on the final day would secure safety, but Luca Waldschmidt’s late goal gave HSV a 2-1 win, condemning Wolfsburg to the play-offs. For their part, Eintracht's last stint in the Bundesliga came in 2013/14, when they lost their top-flight status after finishing bottom of the standings. Thursday, 25 May (20:30 CEST/18:30 GMT kick-off): Wolfsburg vs. Eintracht Braunschweig. Monday, 29 May (20:30 CEST/18:30 GMT kick-off): Eintracht Braunschweig vs. Wolfsburg.